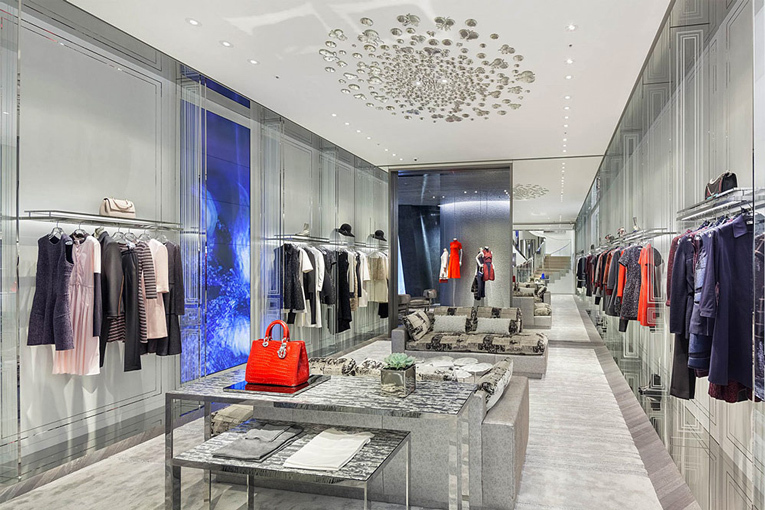 the ever-increasing affluence in the far east has made the region the undisputed new frontier in luxury retail. areas once deemed negligible are now blooming while the sophistication of a few established markets has developed at an accelerated pace. 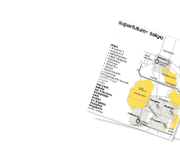 tokyo and hong kong, each with an impressively vast and diverse retail scene, have traditionally been the region's most popular shopping destinations. but in their shadow a new league of noteworthy cities has quietly emerged, led by the most sophisticated of them all: seoul. global players in the luxury industry may already have made their mark, but continue to see plenty of room for improvement. these past few years, the korean capital – backed by the influential pull of k-pop and k-drama – has seen a huge influx of chinese visitors who come here for the sole purpose to shop. their buying power is a force to be reckoned with, and increasingly inspires brands to see the city as a platform where to raise their profile to maximum effect. 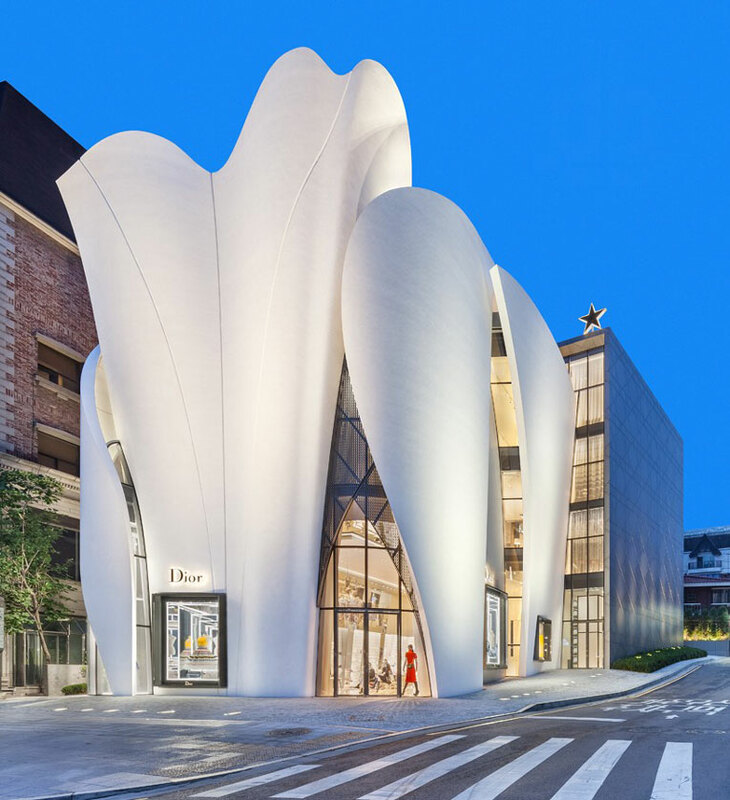 dior certainly thinks so, having just opened a landmark flagship store – reportedly asia's largest – on one of seoul's most prestigious stretches of real estate, replete with the prerequisite starchitecture. designed by christian de portzamparc, the building features a striking façade of overlapping sails, all frozen in soft and fluid movement, while subtle gaps in the seams reveal large windows and the main entrance. 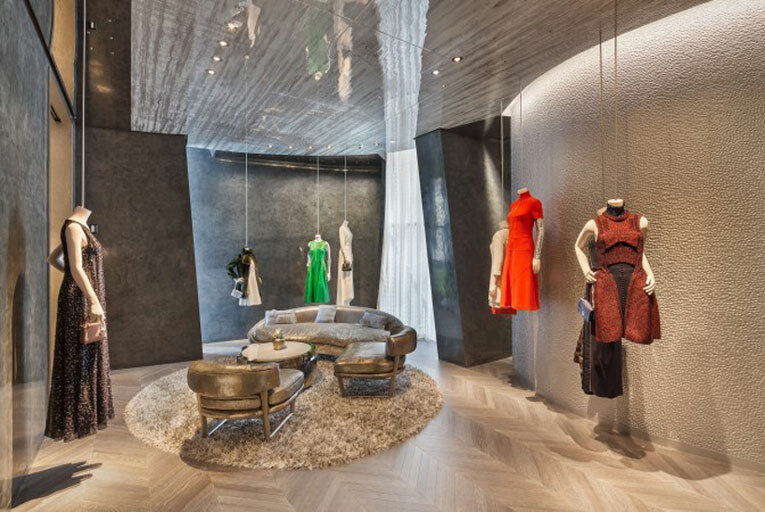 the store interior, created by new york-based designer peter marino, is an equally dramatic affair and combines understated lines with cues from the brand's headquarters on leafy avenue montaigne in paris. 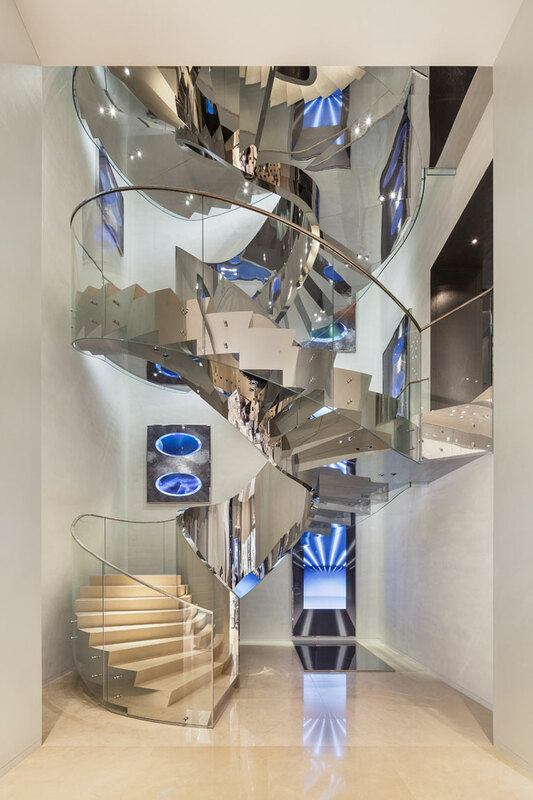 the building comprises of six floors, all connected by a dramatic spiral staircase of glass and steel. 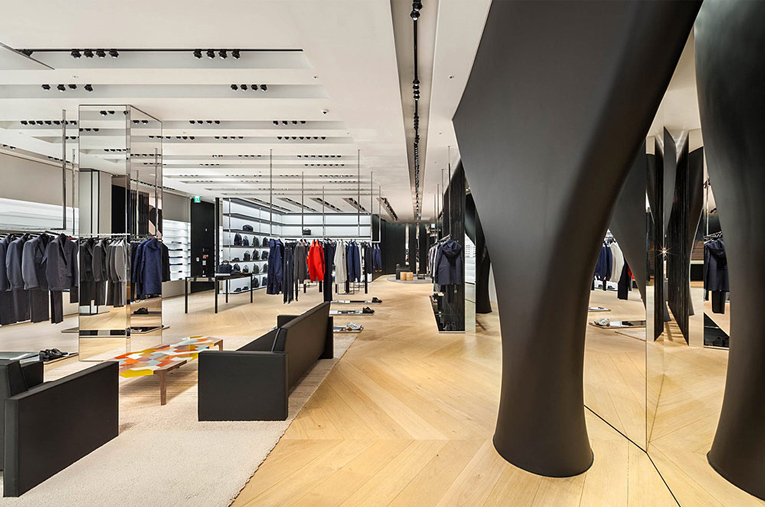 the basement section is home to the dior homme collections. on the lofty ground floor dior's trophy handbags and accessories are presented, while one floor up more of such bags can be found, combined with the latest shoe designs. the fourth floor is home to the ready-to-wear collection, followed by an entire floor of exhibition space. 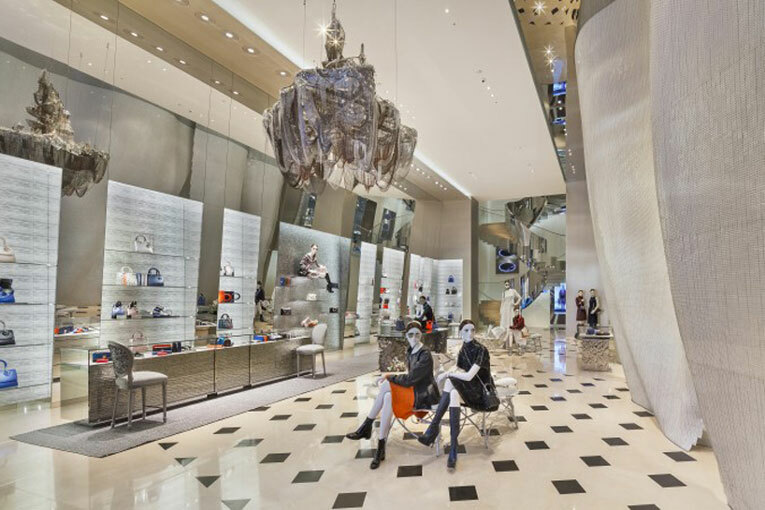 here, works featuring the dior bag motif by artists from around the planet are put on display. 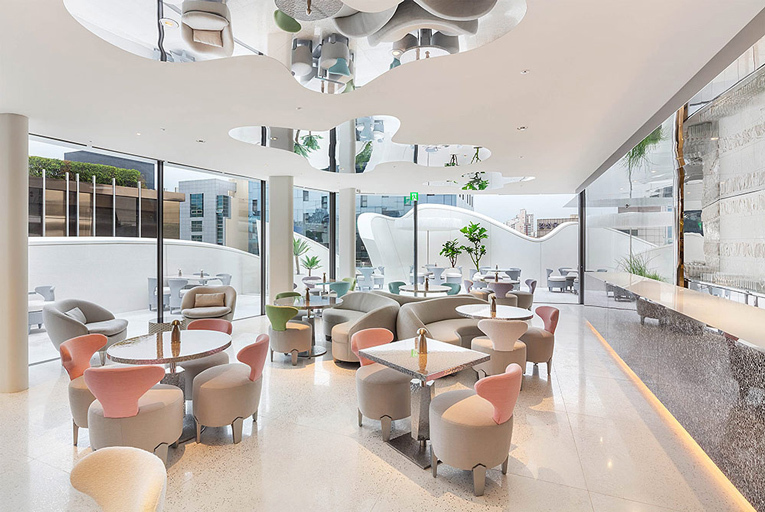 complementing the immersive shopping experience is a café with a sunny outdoor terrace on the top floor, run by none other than renowned french patissier pierre hermé. not surprisingly, c.e.o. of luxury conglomerate lvmh and owner of the dior brand bernard arnaud, especially flew in to attend the store opening and visit a number of other dior shop-in-shops along the way. also coinciding with the flagship store opening is esprit dior, a major brand showcase held at dongdaemun design plaza and which explores the life, work and creative vision of legendary fashion designer christian dior. store location: 464 apgujeong-ro [apgujeong].